State law requires that those working with children in a family day care or a child care center have current EMSA approved Pediatric CPR and First-aid certification. Sacramento CPR Classes provides these certification classes on a regular basis. According to State Law, the Pediatric CPR and First-aid are required to be 8 hours long. If you find a class that is offered in less than 8 hours, the certification card would not be accepted when licensing comes to your home or center for their inspection. What if I am renewing my card? The 8 hour course is still required even if you are renewing your EMSA certification. The certification card is valid for 2 years. 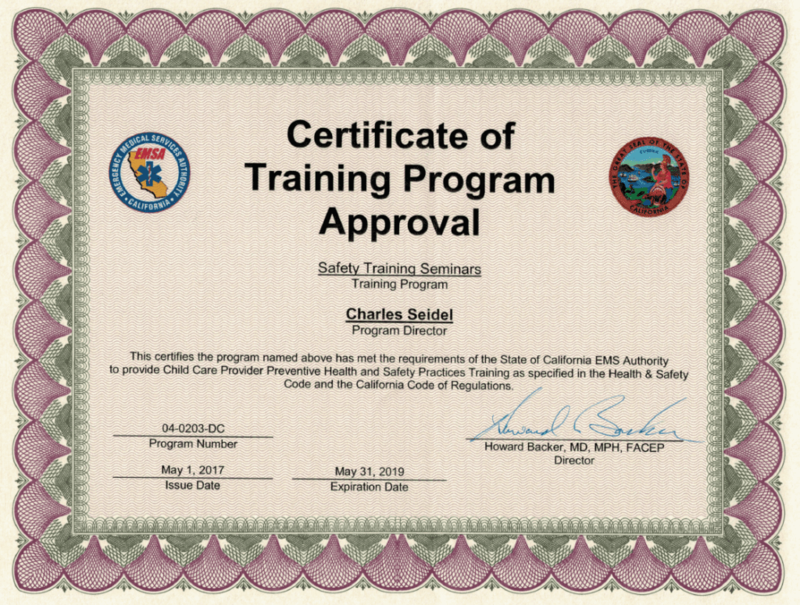 How can I be sure that Safety Training Seminars is an approved provider? That is a great question. Trust but verify. I really feel bad when students come to me after spending all day taking a course with another company that was not approved. So be sure to do your homework to make sure the CPR company is an approved provider. 1. Confirm that the company is approved provider on the EMSA’s Official Childcare Website. 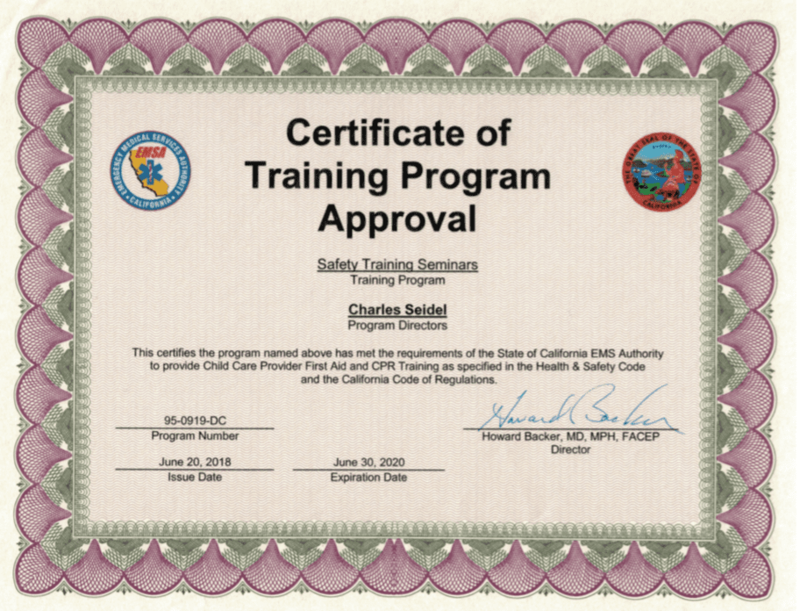 You can find Safety Training Seminars is an approved program.